Located right on the border with China and spread over rolling hills, impressive karsts and green valleys, Ha Giang is known as Vietnam’s last frontier. Since it’s not the easiest place to reach, it’s less busy and offers travelers the chance to explore Vietnam’s raw beauty in a way few other places still do. 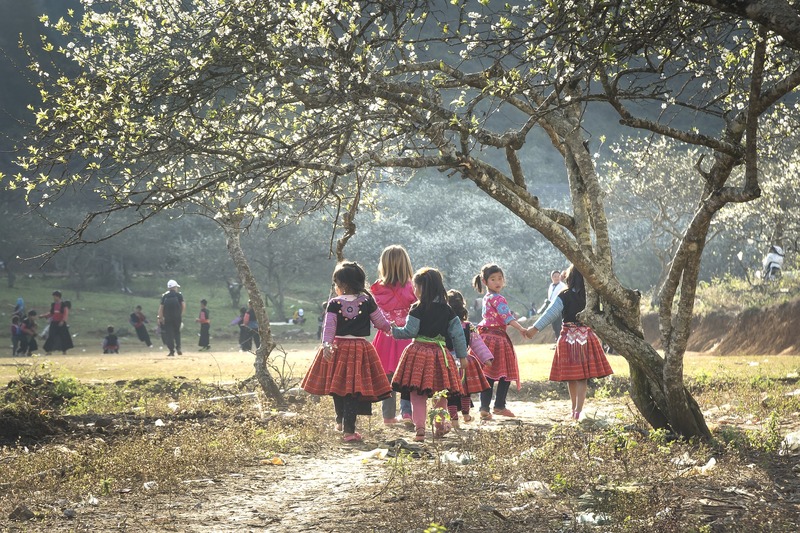 Nature-lovers and adventurers will love Ha Giang for its unsullied nature and the diversity of ethnic minorities living in the towns and cities connected by this area’s steep winding roads. Keen to get off the beaten path (in every sense of the word!) and see a lesser-known side of Vietnam? Here is our guide to Ha Giang! 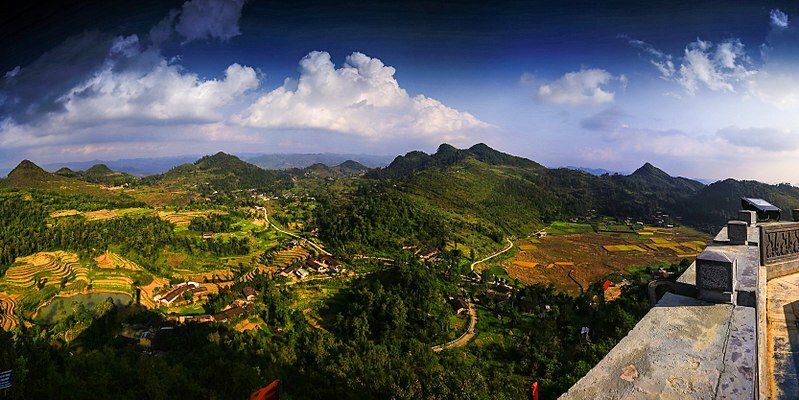 With over 3,000 years of history, Ha Giang has some stories to tell. Home to a large number of ethnic minorities, this area has seen rulers from several different tribes including the Hmong and Dao tribes. When the French came to set up one of the biggest military bases in northern Vietnam in 1886 they were soon met with resistance from the local people. Initial rebellions were quickly suppressed but the region always remained opposed to the influence of the French. As Vương Chính Đức was accepted as the Hmong King in the early 20th century, the French made an effort to win him over to tighten their grip on the area. Initially, this worked, but Vương Chính Đức’s successor decided to support Ho Chi Minh in his quest for Vietnamese independence. 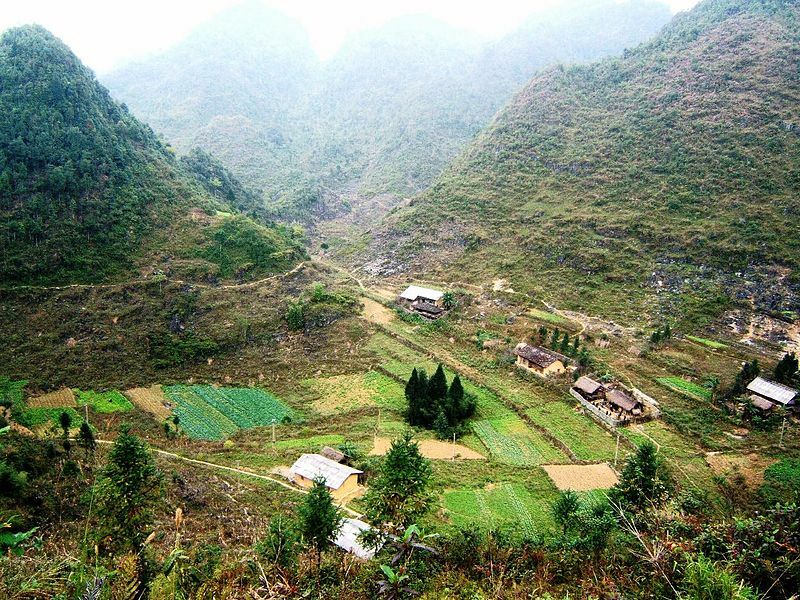 Today, Ha Giang is a quiet province in the northeast of the country. Ethnic minorities still make up most of the population and make this area an exciting and interesting place to visit for travelers wanting to learn more about rural Vietnam and the country’s cultural diversity. From late November until the end of the year, there is a chance of snow. Did you think you would find snow in Vietnam? Here in the north, it could happen! Even if you don’t catch snow, the province is beautiful in winter as thick mist floats around the hills and makes you feel like you’re in a whole other world. If you are traveling to Ha Giang during this time, be sure to bring warm jackets, long pants, and good shoes. 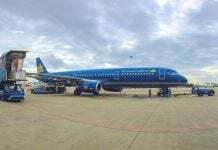 The airport closest to Ha Giang is in Hanoi. If Ha Giang is your first stop, fly into Hanoi and catch a bus or hire a private driver from there. A cheap and comfortable way to get to Ha Giang is by night bus. There are several leaving Hanoi’s northern terminal every evening and the cheapest ones cost you less than $10. The coaches have fully-reclining berths which make it easy to sleep. That way you can start exploring Ha Giang well-rested and make the most of your first day there. Usually, the night bus will arrive in Ha Giang by around 3:30 AM. The good thing is that the drivers often let passengers sleep on the bus until morning. 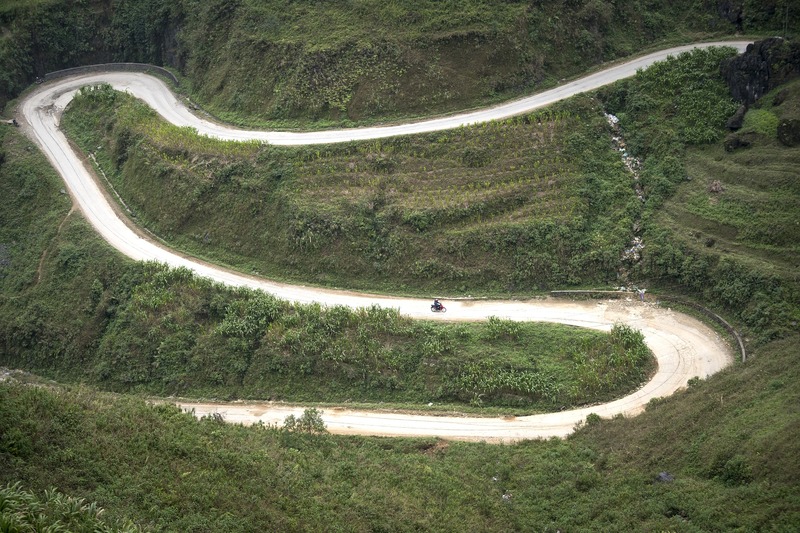 If you adventure, head to Ha Giang on your own motorbike. The 300-kilometer ride will take you the better part of a day, especially if you want to make a few stops along the way. Hanoi has plenty of motorbike shops which can rent you a bike for a few days. To find a good one, ask your hotel or hostel for trustworthy dealers. Check the bike carefully to make sure it’s in good condition. You’re going for a long trip, so the last thing you need is a bike that will break down halfway. To be safe, always ride with a helmet. It’s the law and it’s important since you’re probably unfamiliar with the rather creative driving style in Vietnam. Another good idea is to honk when you drive into a curve with no visibility. That way someone coming towards you knows you’re there and will stay in his lane. When you’re ready to go, start your trip early in the morning to make the most of daylight. This is important as some mountain roads are poorly illuminated and you wouldn’t want to drive in the dark on winding roads you don’t know well. 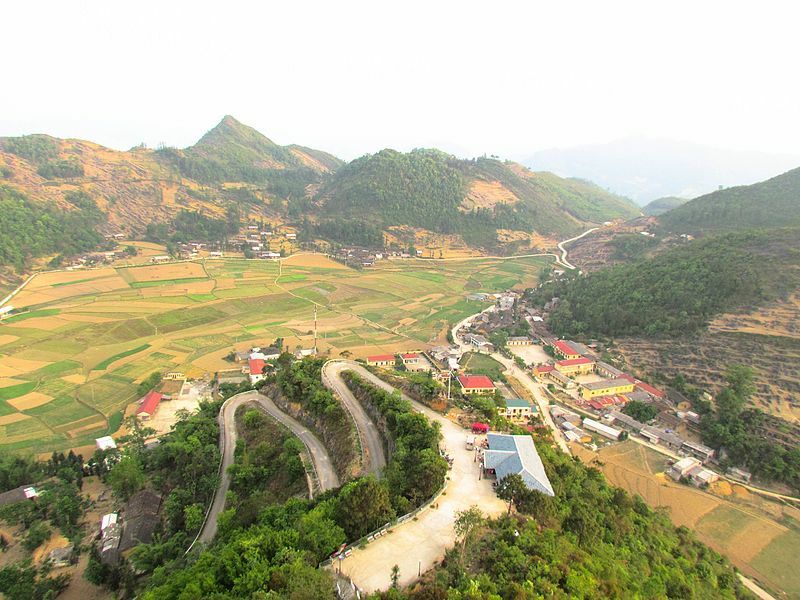 The most convenient way to reach Ha Giang is by private car. 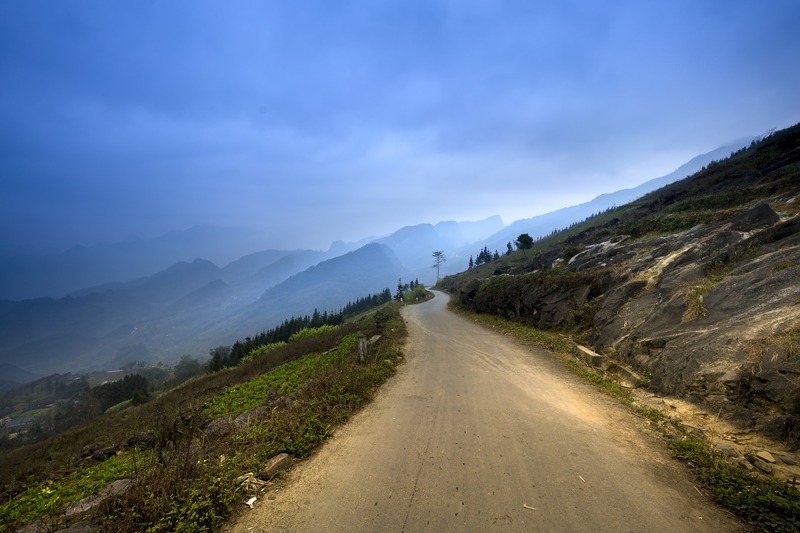 In Hanoi, you will easily find travel agents who can help you book a private driver to take you to Ha Giang. Especially if you’re traveling with a group of friends, this can be a fun and cost-effective solution. Going with a driver also adds flexibility as you can stop anytime you want, whether it’s for a photo or to try some food along the way. Getting your permit for Ha Giang is very easy. 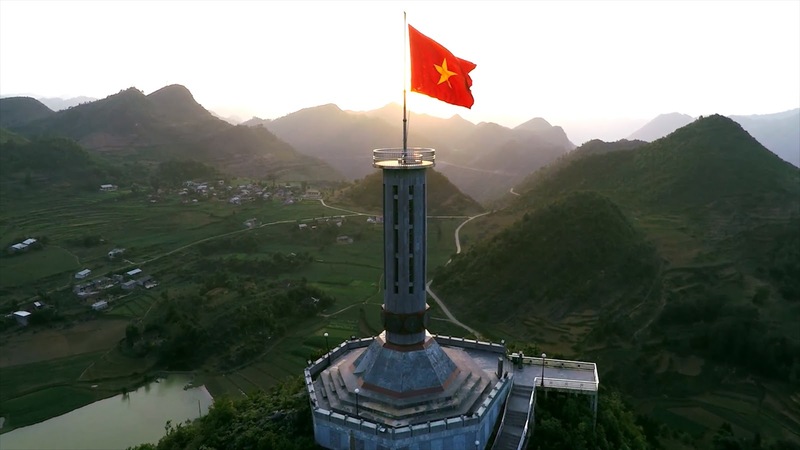 When you arrive in Ha Giang city, head to the immigration office at 415a, Tran Phu Street, give them your passport, pay 210,000 VND and within a few minutes, you will have your permit. If you’re traveling by motorbike, you need to give them your registration number too. The office is open every day from 8 AM. Supposedly they are only closed for a short lunch break between 1 PM and 1:30 PM. However, to make sure you don’t miss the opening times, your best bet is to be there early and get things over with. Do you really need the permit? Chances are nobody will ask you for it. But you might get pulled over by a policeman who could fine your or force you to return to Ha Giang to do your paperwork. Hotels and hostels might also ask you to show it as officially they are not allowed to let you stay without one. To save yourself any kind of a hassle, get the permit, pay the $10 and keep it as a nice souvenir of your trip to Vietnam. While distances from one town to the next are probably a bit too by bicycle, it’s a fun way to get around in places like Dong Van. A bicycle is also a good way to explore the outskirts of a village and the surrounding rice fields. To rent one, ask your hotel or hostel. They can suggest reliable shops where you can get a bike for a few dollars a day. Getting from one town to the next in Ha Giang is easy and fun by motorbike. Streets are winding and steep, but generally well-paved so you can drive comfortably. If you’re an inexperienced driver, don’t underestimate these roads. You might want to consider getting a driver to be on the safe side. If you want to drive yourself, QT Motorbikes and Tours is one of the best places in Ha Giang to get a motorbike. They provide various types of bikes and safety gear and offer customizable guided tours as well. Whether you want to drive or prefer to let the guide take the wheel and ride, they can accommodate you. You can find QT Motorbikes close to the bus stop you arrive at in Ha Giang. They even operate a hostel you could use as the starting and ending point of your trip. Towns and villages in Ha Giang are reachable by buses. 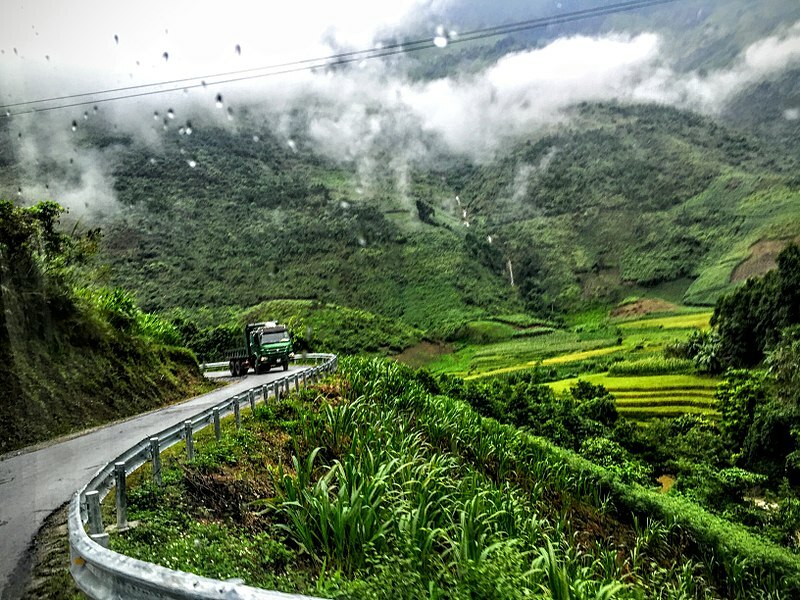 Once you arrive at Ha Giang bus station, you will easily find the next bus you need to get to Quan Ba, Yen Minh, Dong Van or Meo Vac, depending on what you want to see and do. Be careful to check the bus timings so you don’t miss the last one of the day! Once you get to your destination, you can ask a xe om (local motorbike taxi) to take you to the sights you want to see. Make sure you know where you’re going ahead of time as many xe om drivers don’t speak English. Knowing numbers in Vietnamese will also be useful as it will help you negotiate rates. Another good way to get around in Ha Giang is by private driver. If you’ve already hired one to take you there, you can ask him to stick around or check with your hostel or hotel if they can recommend someone. To be sure you have someone waiting for you when you arrive in Ha Giang, book ahead with a travel agent in Hanoi. They have reliable contacts in the area and can help you plan your itinerary. To avoid missing anything in Ha Giang, opt for an organized tour. If your alarm bells are going off and you’re refusing this idea because you don’t want to be carted around on a bus full of tourists, don’t worry. Of course, there are tours like that. But you’ll also find many providers who offer itineraries tailored exactly to your idea of the perfect trip. Want to spend more time trekking than exploring markets? They will take you to the best trails. Want to see every ethnic market and stock up on intricate local handicrafts? They know where to go. And the best thing is, these small companies are a great way to travel Ha Giang responsibly and make sure the money you spend stays with the local community instead of with a huge corporation based in the capital. 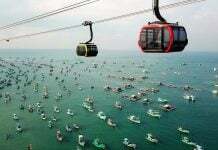 A tour operator which has received consistently high reviews is YESD Vietnam. 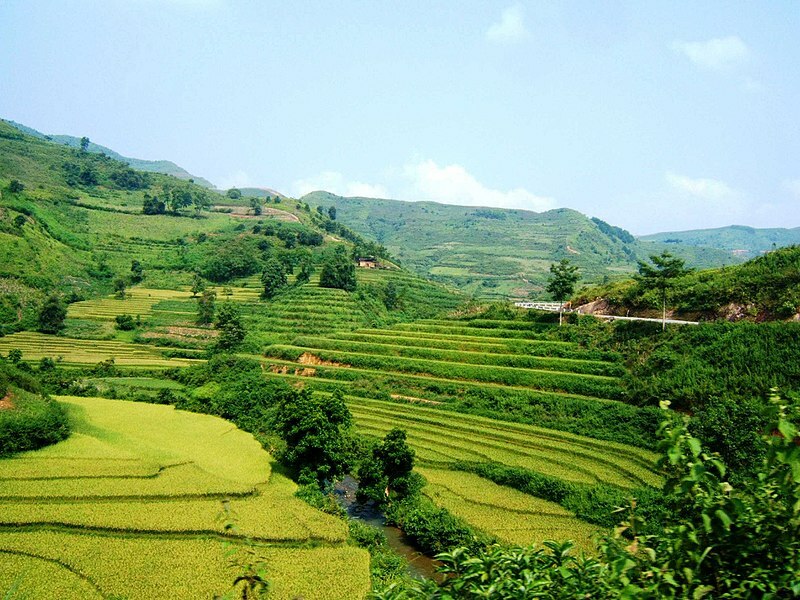 They provide various itineraries in Ha Giang, each focusing on different aspects of the region. You can ask for a customized tour if you have very particular ideas of what you’d like to see. While Ha Giang is slowly getting more developed, the accommodation available is generally quite basic. Larger towns like Dong Van and Ha Giang do have hotels, but guesthouses and homestays are more common. They may offer more basic facilities, but they give you a chance to interact with your local hosts and get a first-hand glance at their day-to-day lives. And when visiting a place like Ha Giang, that’s part of the fun though, isn’t it? 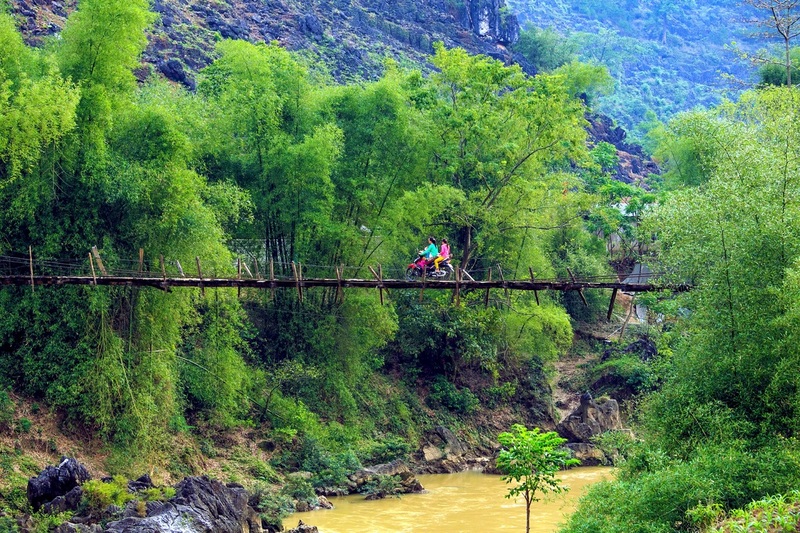 From Ha Giang, you can visit some of the area’s popular sights and enjoy the beautiful landscape and scenery. After a long day out and about, stop at Bông Hostel and Café for a restful night and enjoy some local food there. The staff speaks some English and are always happy to give advice on what to see and do next. For a fancier stay, you can go to Ha Giang Resort. They have spacious rooms with views of the river which might be a welcome change after several days on the road. To be close to sights like the Lung Cu Flag Tower or the Hmong King Palace, stay at the Lam Tung Hotel which is outside of town. To be near the center, you can get a room at the Hoang Ngoc Hotel in downtown Dong Van. Several guest houses are also available, and you can often get a room without a booking. If they are full, they can always recommend another place which still has vacancies. In Meo Vac, you have some more upscale options besides the typical homestays and hostels. To experience one of Ha Giang’s most modern hotels, go to Hoa Cuon Hotel and for a nice place decorated in traditional local styles, stay at Auberge de Meo Vac (a pricey but beautiful choice). 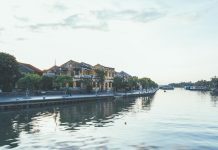 If you opt for a homestay, be mindful of the fact that the rooms might not offer the comfort you are used to at home or at hotels in places like Hanoi, Danang or Ho Chi Minh City. The best thing you can do is embrace that, be respectful of the differences and just go with it. You never know, maybe your hosts will point you to some unique spots you never even read about online! There are many homestays to choose from and the service you’ll receive can vary. Before agreeing to stay, feel free to ask to see the room, check if they have hot water (Google Translate can help you!) and find out if meals are included. Rates are usually around 100,000 VND per night. Set in a small village in Quan Ba district, this homestay offers large rooms and facilities similar to those of a hotel. You can choose from double, twin, single and dorm rooms depending on the size of your group or your budget. If you’re coming to Ha Giang directly from Sapa, you should absolutely spend a night at this homestay. It overlooks endless rice fields and the hosts are known to be kind and hospitable. Stop here for a good night’s sleep before getting back out on the road. Just a few kilometers from Ha Giang’s center, this homestay is currently one of the favorites among international visitors to the region. Set in a village inhabited by the Tay community, Tien Thang Homestay is surrounded by traditional stilt houses and offers a great experience of local culture and lifestyle. Ha Giang has so many incredible spots to visit, you could spend several weeks here without seeing it all. To help you choose which ones to include in your itinerary, we’ve put together a list of some favorite towns and natural highlights for you to choose from. If you’re going with a guide, show him the list of places you want to go to get some feedback about what’s doable in the amount of time you have. Maybe he’ll even have some other great suggestions that will make your trip even more special. While there is little to see in Ha Giang city, there are some interesting spots to visit close by. Thon Tha village is one of them. Only around 500 people live here but since tourists have been visiting for many years, there are plenty of nice homestays and many locals who speak English and are eager to be your guide. A stop here is worth it as you’ll see how people live in this part of Vietnam. Many villagers run their own farm and live in traditional houses, renting out their extra rooms to travelers. This is your chance to sleep in an authentic stilted house, overlooking verdant rice fields and waving good morning to buffalos when you wake up. A short trek from town, you’ll find a beautiful waterfall which offers wonderful refreshment after a hike. If you’re looking for a great trekking experience, head to Khuoi My village on Tay Con Linh Peak from Thon Ta. If you set out early in the morning, you’ll get there by lunchtime and have plenty of homestays to choose from for a meal. Hosts are known to be very welcoming and eager to share stories about their history, culture and traditions, so feel free to ask! 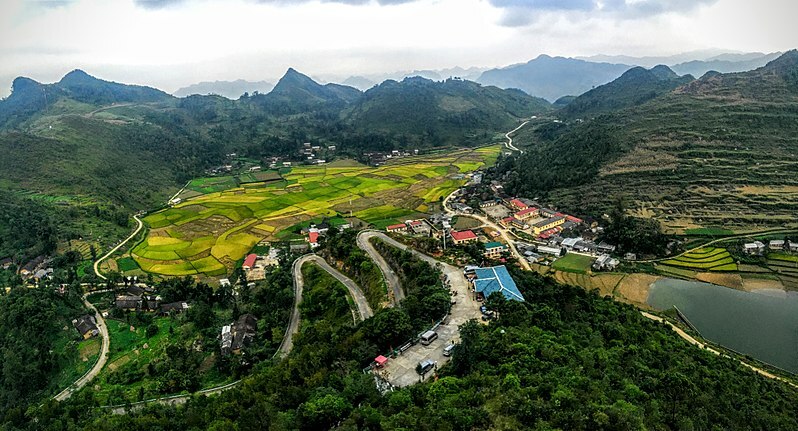 As you walk the mountain paths, Ha Giang’s countryside will unfold before your eyes and offer breathtaking views of rice fields, forests and surrounding mountains. 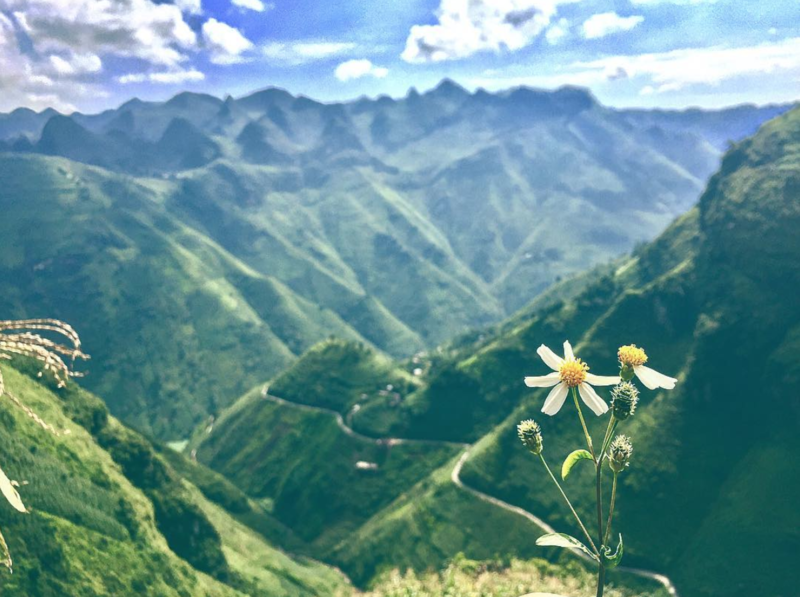 As you head east from Ha Giang to Dong Van, you will start to see the landscape change to what you’ve doubtlessly seen on postcards of Ha Giang. The endless rice paddies will slowly give way to the famous limestone mountains, deep canyons and rocky structures which make this province so unique. All of this is part of the Dong Van kart Plateau, a UNESCO-recognized geopark. You will make your way towards Quan Ba Valley where you’ll see the famous Fairy Breast Mountains, two round hills set in the middle of a perfectly flat valley. If you have some extra time, you can go there for a hike and a visit. Many locals do, as they believe it brings good luck. Further along the path, you will get to Ma Pi Leng Pass, an impressive area with endless views of the Nho Que River, its canyon and the mountains rising steeply on either side. Take some time to stop along this road and soak up the view… chances are you’ll meet a few other travelers and locals doing the same. After a lot of driving, you’ll arrive in Dong Van, the largest town in Ha Giang province. It’s worth it to spend some time here as there are plenty of things to see and do. You can start by exploring the Old Quarter, Dong Van’s city center. It resembles a courtyard surrounded by traditional coin-roof buildings. Today, many of them have been converted into cafes and souvenir shops. This might come as a surprise, but the city is a popular stop among Vietnamese travelers who are exploring the Dong Van loop, so tourism in this area is more developed than in the rest of the province. Once you’ve had enough of the town, you can climb a nearby hill to find the ruins of a French fort called Don Cao. From there you will also have breathtaking views of Dong Van and the surrounding countryside. Not far from Dong Van, is Lung Cam Cultural Village where people from the Lo Lo, Hmong and Han tribes live together. Here artisans create beautiful local handicrafts like colorful hand-woven fabrics. Walk around and you can see them at work and maybe even learn how they make some of their masterpieces. Around 90 minutes from Dong Van, another amazing sight awaits: Lung Cu Flag Tower. It’s a huge flagpole set very close to the Chinese border. You can climb up and enjoy stunning views of the green hills, jagged mountains and steep drop-offs from there. If the visibility is good, you’ll even get a glimpse of China! Only a short drive from Dong Van is Sa Phin, the village home to an important historical site, the Hmong King Palace. It was built in the 1920s for Vuong Chinh Duc who was also known as the Hmong King. He was on good terms with the French during their colonial rule. The palace is an interesting building with elements of European and Chinese style elements and was one of the most luxurious homes in the area. Richly decorated with beautiful carvings of flowers and decked out with the era’s most modern facilities, the palace was often the site of visits from dignitaries and important businessmen. Today the palace is a museum and you’ll find some interesting pictures giving you an idea of the lives the owners led. Close to Sa Phin, Sung La, another small Hmong village is worth a stop as well, as the flower fields here are popular with travelers. To help visitors get good selfies with flowers, some business-minded locals have set up plots with little ‘flower meadows’. There you can pose and take photos for a small fee. For a real meadow dotted with wildflowers, just head to the outskirts of town. There you’ll have the whole place to yourself and can enjoy the smell of all the blossoms around you without the crowds. As you make your way around the Ha Giang loop, Lung Tam village is a fun stop if you are interested in local crafts and artwork. On your treks and drives, you might have already seen marijuana fields along the way and wondered what the plants are for. In Lung Tam you’ll find out! Here, a group of Hmong women uses hemp to make wonderful fabrics. They dye them with natural colors and print, batik or embroider them with different designs. You’ll be able to see every step of their production process and maybe even give it a try yourself! Of course, there is also a gift shop where you can buy some of their work. Still need souvenirs? This is probably one of the best places to get them as the products are reasonably priced and you know the proceeds go to the women and their community. Towns around Ha Giang are known for their colorful, interesting markets. Usually, they take place in the morning on Saturdays or Sundays and maybe one weekday. To include at least one in your itinerary, ask your guide which market he recommends and time your trip in a way that gives you time to explore it. 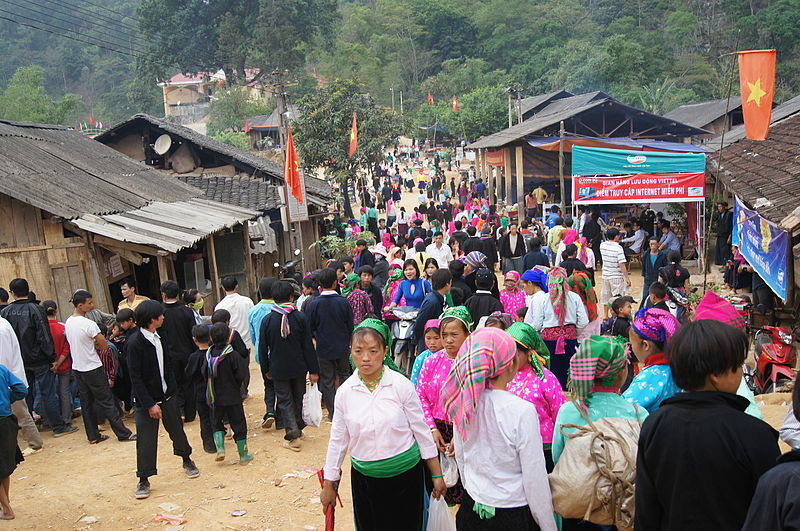 Usually, people from several villages gather for a market, making it a melting pot of Hmong, Dao, Tay and other ethnic groups. They all come wearing their traditional dresses, so get ready for an unparalleled display of local fashion and textiles. Markets are also the perfect place to try some more local food and see how some of your favorites are made. Popular markets to visit in Ha Giang include the ones in Dong Van, Meo Vac and Tam Son. But of course, there are many others too. Just ask your guide or homestay host, and you’ll get plenty of options. Naturally, Ha Giang has its own tasty foods you absolutely must try when you visit. Your homestay hosts will probably provide you with some local treats and others can be found at street food stalls and markets. The cuisine in the north is quite different from anything you will have tasted in southern Vietnam or even Hanoi. Each tribe has their own specialties, so get your taste buds ready for a unique experience! For a simple starter, try trung cuon, steamed eggrolls. Thin and delicate, they come alongside a tangy dipping sauce. On a cold day, you might want to go for chao au tau, a rich and nourishing type of rice gruel. It might not sound too appetizing, but its taste is yummy and surprising. Thang Co is another dish you should try. It’s made of small bits of pork mixed with lemongrass and cardamom for a unique flavor. You’ll find Thang Co at many markets where it’s served with spicy chili flakes. A favorite among tourists and locals is com lam bac me, sticky rice cooked in bamboo. The rice is soaked and seasoned before being filled into a piece of bamboo. Then it’s roasted over charcoal for about an hour. Both filling and tasty, com lam bac me is a great dish after a long trek. Another specialty of the area is grilled algae. The Tay people are the experts at preparing it either grilled, steamed or fried. These are only a few of the foods Ha Giang is famous for. To get to know more of them, you’ll just have to go there and discover them yourself! Hi Juliana, love your blog. Very well written. Need your advice. My family-4 of us will be going this December to Ha Giang for 6 days and 5 nights. Wondering if there is much to see in Winter. Hi. Eleanor, Whats the diffrent betw Sapa and Ha giang to offer.